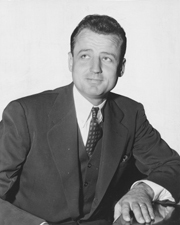 SMATHERS, George Armistead, (nephew of William Howell Smathers), a Representative and a Senator from Florida; born in Atlantic City, N.J., November 14, 1913; moved to Miami, Fla., in 1919; attended the public schools of Dade County, Fla.; graduated from the University of Florida at Gainesville in 1936 and from its law school in 1938; admitted to the bar in 1938 and commenced practice in Miami, Fla.; assistant United States district attorney 1940-1942; during World War II served in the United States Marine Corps from May 1942 until discharged as a major in October 1945; special assistant to the U.S. attorney general from October 1945 until his resignation in January 1946 to begin his campaign for Representative in Congress; elected as a Democrat to the Eightieth and Eighty-first Congresses (January 3, 1947-January 3, 1951); was not a candidate for renomination in 1950; elected to the United States Senate in 1950; reelected in 1956 and 1962 and served from January 3, 1951, until January 3, 1969; was not a candidate for reelection in 1968; chairman, Special Committee on Aging (Eighty-eighth and Eighty-ninth Congresses), Select Committee on Small Business (Ninetieth Congress); resumed the practice of law in Washington, D.C., and Miami, Fla.; was a resident of Washington, D.C., and Indian Creek Village, Fla., until his death on January 20, 2007; interment at Arlington National Cemetery. Wickman, Patricia R. The Uncommon Man: George Smathers of Florida. Privately published, 1994; Crispell, Brian Lewis. Testing the Limits: George Armistead Smathers and Cold War America. Athens: University of Georgia Press, 1999.